ers many unique advantages for magnet power supply system in synchrotron application. These advantages include excellent current stability of 1.25mA/0.5 hour and 2.5mA/8 hour, extremely low current ripple of 2.5mA, current reproducible within 10mA, precision setting and readback of output current via 20 bit DAC/24 bit ADC. The 62075H-30N output power has maximum 7.5kW/30V/250A power module designed with 4U height that can be connected easily as master or slave with three units to 22.5kW/30V/750A in parallel or two units to 15kW/60V/250A in series and operated as a standalone unit via system bus. ciency and high power factor in compliance with energy savings. 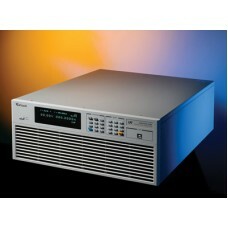 In addition it has a 20 bit digital control with bright vacuum fluorescent display readout. The self-diagnosis routine and full protections against voltage phase loss, over/under voltage at input, over voltage/current at output, over power, over temperature, fan fail and remote inhibit ensure the quality and reliability for even the most demanding magnet power supply system in synchrotron.